At CTCA, clinicians have the resources and time to provide high-quality personal and compassionate care to every single one of our patients. Bachelor, Health Sciences - Howard University, Washington, D.C.
Jenna Hearn, Physical Therapist in Oncology Rehabilitation at Cancer Treatment Centers of America® (CTCA), is focused on restoring function and independence to patients so that they manage their lives safely and according to their own desire. Hearn studied Health Sciences at Howard University, earning her Bachelor’s degree in 2006. She completed her Doctorate of Physical Therapy at the University of Miami, receiving the Clinical Excellence Award in 2010. 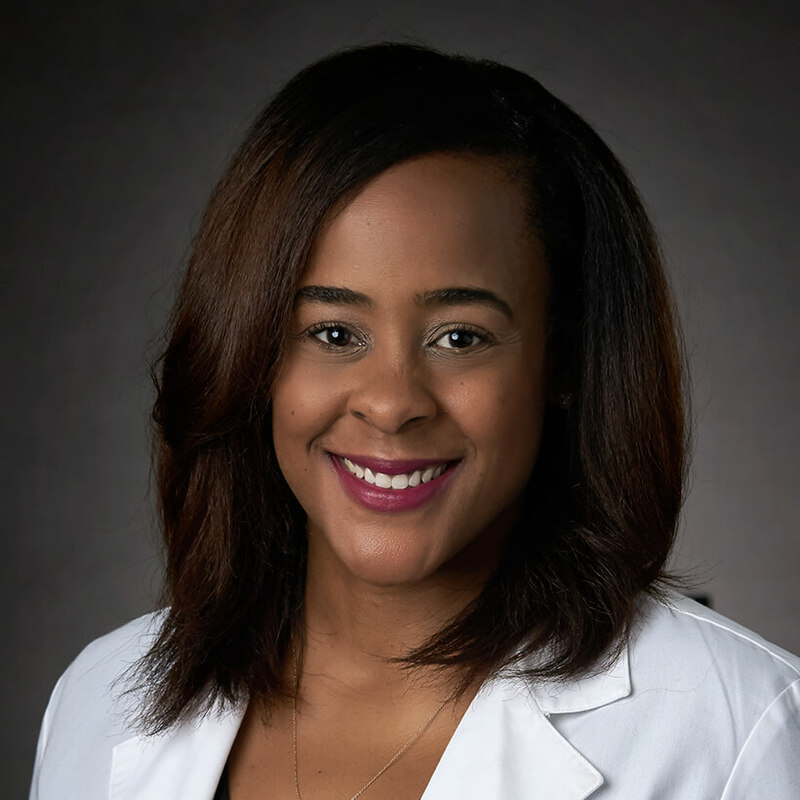 Her training included rotations in pediatrics, outpatient orthopedic care, neurology rehabilitation, and acute inpatient care at several large regional hospitals in Texas and Florida. Since earning her degree, Hearn has completed continuing education training in balance and fall prevention, pain management, complex disease management, aquatics rehab, yoga in therapeutic rehabilitation, and other areas. Since 2012, Hearn has provided physical therapy in several clinical settings. She worked in acute care at two large Georgia Hospitals before transitioning to geriatric inpatient and outpatient care at a private health and rehabilitation center. She worked with several home health agencies and nursing homes before joining CTCA® in March 2015. Hearn is a member of the American Physical Therapists Association. She is also the founder and CEO of the National Black Rehabilitators Association, a networking organization for allied and mental health rehabilitators of color working together to serve and educate their communities. At CTCA Atlanta, Hearn assists patients with various techniques to restore their optimal quality of life, with the goal of ensuring an independent lifestyle. She incorporates numerous forms of exercise into her work including yoga, Pilates, and breathing techniques. She works closely with patients to create personalized programs. A native of Houston, Texas, Hearn loves traveling to visit family and friends, with New Orleans being one of her favorite destinations. “I’m a true southern girl, happy with good food and good company,” she says.